After the future: Australia’s new extinction crisis. Quarterly Essay. When it comes to the natural world, Australia is home to a disproportionately large share of the world’s riches. That means we Australians are caretakers of a unique natural heritage in a land which tolerates few mistakes. So how are we doing? 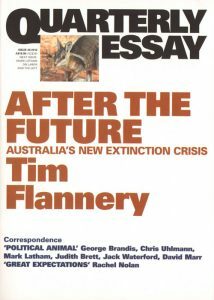 In Quarterly Essay 48 Tim Flannery says: we’re often failing nature. In the clash between money and conservation, money usually wins. State governments have begun allowing mining and other incursions into national parks. A new wave of extinctions is taking place. Politically, conservationists and conservatives are at odds. But why? Surely conservatives and conservationists should be able to find common cause when it comes to preserving our natural heritage? And given that we have never known more about how to protect biodiversity, shouldn’t it be possible to halt the march of extinctions? This essay is both a wake-up call to the consequences of unrestrained development, and an examination of the underlying thinking – the view of the natural world that sees it as something either to be put to use or traded off. By contrast, Flannery asks, how might we best understand, conserve and co-exist with the natural world? Artist/Author: Reynolds, John D. et al., editor. The use of wildlife for food and other human needs poses one of the greatest threats to the conservation of the world’s biodiversity. 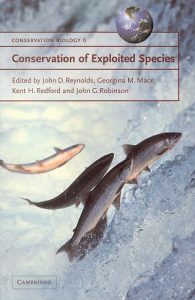 This volume explores the biology and conservation of species that are taken from the wild, ranging from Amazonian mammals hunted by indigenous peoples to large-scale commercial fisheries. 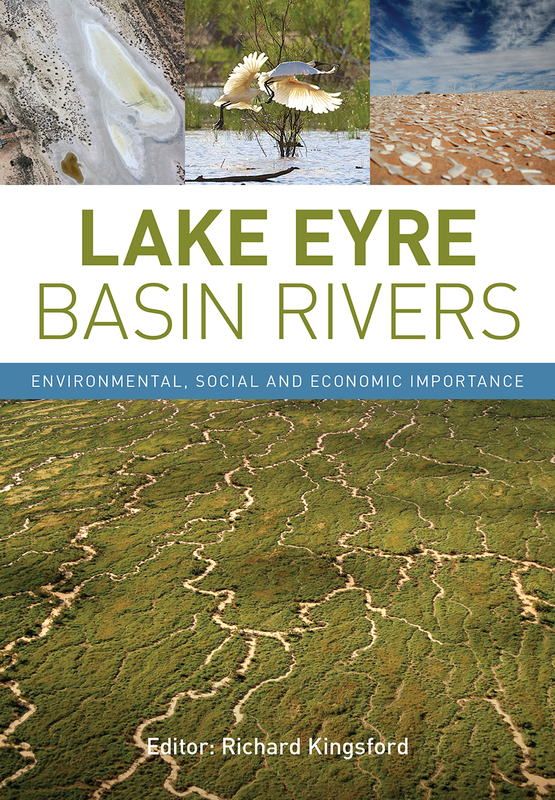 It reviews basic ecological principles for sustainable exploitation – including impacts on wildlife, habitats, and ecosystems – combined with discussions of how to strike a balance between conservation goals and the commercial and social needs of those who depend upon wildlife. Also available in hardcover. 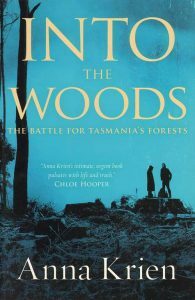 Into the woods: the battle for Tasmania’s forests. For decades, the Tasmanian wilderness has been the site of bitter struggle. Sawmillers and police face off with protesters deep in the forest, while political games are played in the courts and parliaments. At stake is the future of old-growth forests, of the logging industry – and of the people on both sides, deeply divided by years of suspicion. In Into the Woods, Anna Krien brings to life this protracted conflict. Armed with a notebook, a sleeping bag and a rusty sedan, she ventures behind the fiercely drawn battlelines. She speaks to ferals and premiers, loggers and whistle-blowers, and asks challenging questions about their motives and methods. Brave and revealing, Into the Woods is a dramatic work of reporting, a journey deep into the heart of Australia’s most perplexing state. 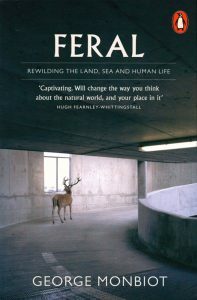 Feral: rewilding the land, sea and human life. In this book, George Monbiot, one of the world’s most celebrated radical thinkers, follows his own hunger for new environmental experiences, in a riveting tale of possibility and travel with wildlife and wild people. Feral is the lyrical and gripping story of George Monbiot’s efforts to re-engage with nature and discover a new way of living. He shows how, by restoring and rewilding our damaged ecosystems on land and at sea, we can bring wonder back into our lives. Making use of some remarkable scientific discoveries, this book lays out a new, positive environmentalism, in which nature is allowed to find its own way. From the seas of north Wales, where he kayaks among feeding frenzies of dolphins and seabirds, to the forests of Eastern Europe, where lynx stalk and packs of wolves roam, George Monbiot shows how rewilding could repair the living planet, creating ecosystems in the UK as profuse and captivating as any around the world. Also available in hardcover [stock id 37330].